The covered bridge at Palmyra was built in 1884 by W.R. and C.C. Cocke to replace earlier wooden bridges. The 1884 bridge was of mortise and tenon construction, and was built using 3,000 white-oak pegs instead of nails or bolts. One of the pegs is displayed in the Old Stone Jail Museum, and was donated by Cora Wills Hannah. 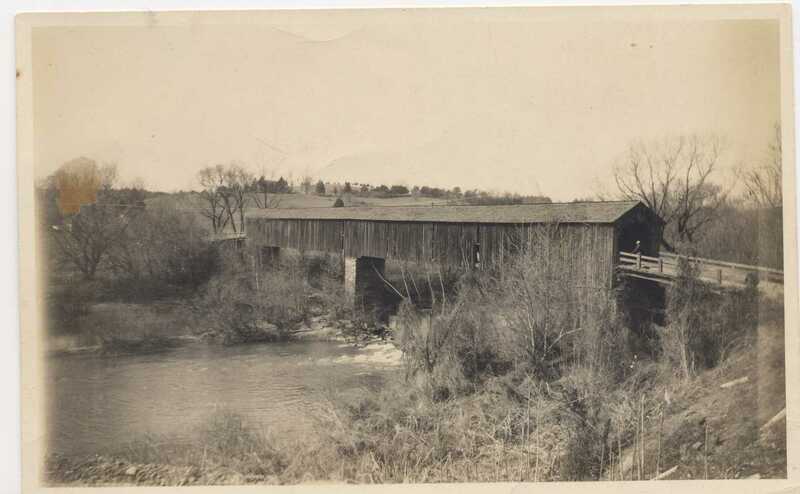 The covered bridge was burned in 1931 and replaced by the Pembroke Pettit steel truss bridge. 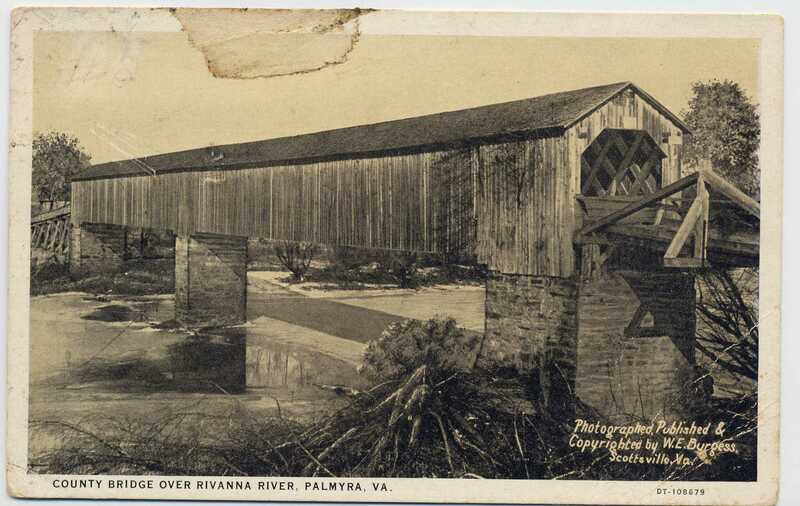 Fluvanna County Historical Society, “Covered Bridge at Palmyra,” Piedmont Virginia Digital History: The Land Between the Rivers , accessed April 23, 2019, http://www.piedmontvahistory.org/archives14/index.php/items/show/154.